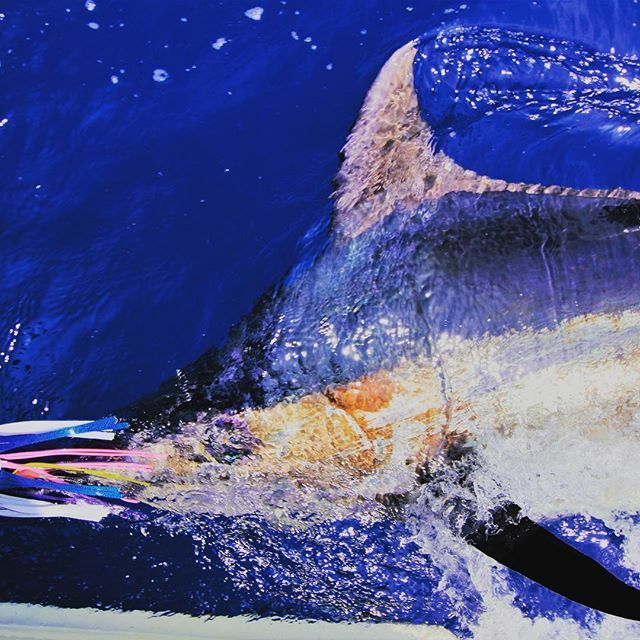 Heavy Tackle Black Marlin: From September to December the giant Black Marlin (up to 1000lb!) return to the waters off Cairns. 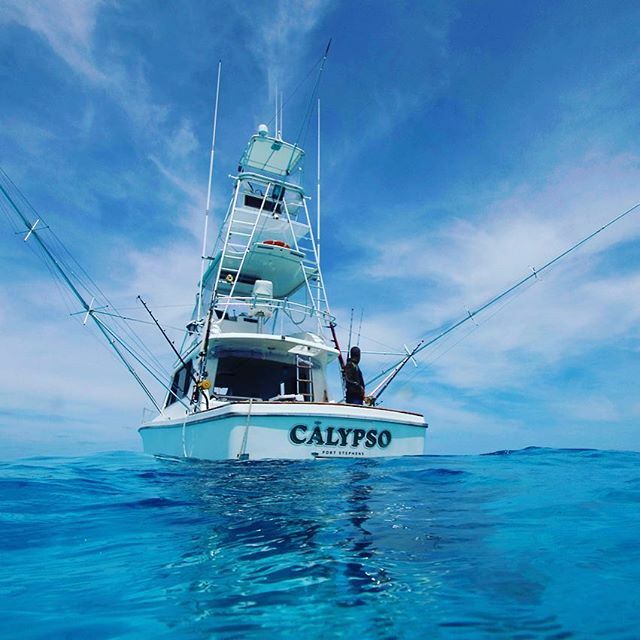 Chase these exhilarating gamefish in comfort, with modern fully equipped vessels, quality equipment, and some of the most knowledgeable skippers found anywhere. Full day and extended live aboard charters are available. 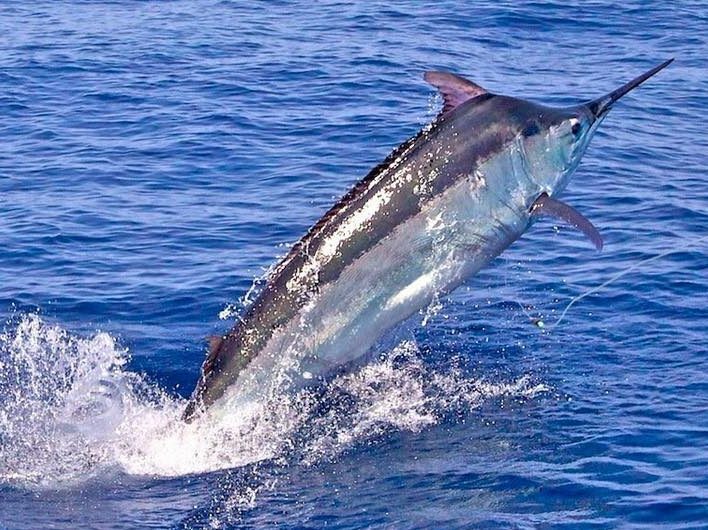 Heavy Tackle Blue Marlin: The discovery of Blue Marlin on the wide grounds has extended the above Heavy Tackle season by two / three months. These monsters (fish to 700lb have been landed off Cairns) can be targeted from December to March using similar techniques – the distances involved however in steaming to the offshore sea mount and various shoals means that this option is an extended live aboard charter only. 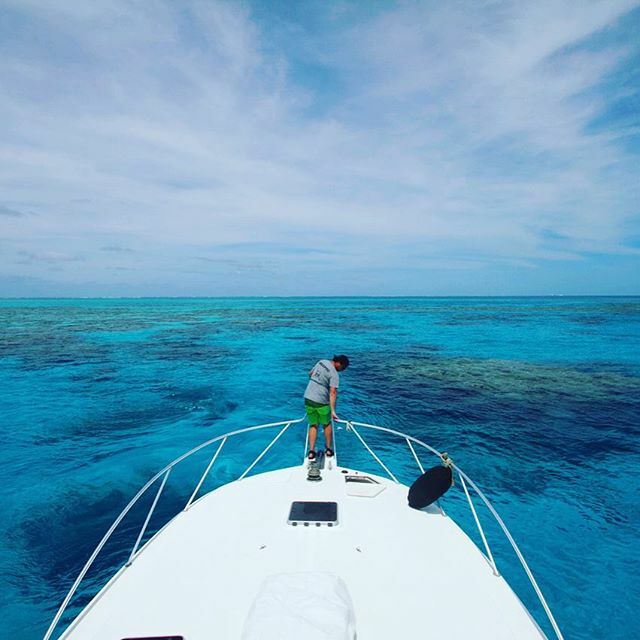 GT Popper Charters: Available year round but the best months are September through to March. One local operator boasts the impressive figures of 37 releases in a day (average size 15Kgs), by two anglers. The most released on a 2-day charter 59 and on a 3-day charter it is 74. Now that’s backbreaking and exciting fishing in anyone’s language, guaranteed to put a smile on your dial and a thirst in your throat. Full day and extended live aboard charters are available. Please contact us if you would like some help in arranging a charter or an ‘Up North’ fishing holiday. The Cairns region has long been recognized as the Black Marlin Capital of the World with the area stretching from Lizard Island in the north, to just south of this beautiful modern tropical city, the envy of many fisherman. More 1,000lb+ black Marlin are caught in these waters each season than all the other known grounds put together. The region is regularly rated the number one gamefishing region on the planet. For the full story on the movements of these monsters have a look at the Target Species pages. With such a diversity of gamefish right on our doorstep, its no wonder that a thriving charter fishing industry has developed using Cairns as its home port. Many years ago the famed Lee Marvin (the American actor) returned year after year to target giant Black Marlin off our coast. It was guys like Lee, Col. Tom Parker (Elvis Presley’s manager), local Aussie identities Bob & Dolly Dyer, and fishing “Hall of Fame” members Jack Erskine and Laurie Woodbridge that helped prove the reliable existence of these monster fish. They discovered that giant Black Marlin, some in excess of 1,000 lb did in fact return to our waters each year around mid September to spawn. The fish first connect with our waters around Lizard Island, approx. 300kms north of Cairns. They disperse down the ribbon reefs, pass Cairns and Dunk Island and feed on the plentiful supply of Tuna and Pacific gamefish. Around mid December they head back out to the Pacific Ocean and head to far off waters. Note: Juvenile marlin begin to appear inside the reef around April / May (stock from the previous years spawning) and average about 10 kg’s. These fish follow the warm currents down the east coast of Australia and can be caught as far south as Sydney or even Bermagui by February the next year, and average 30-40 kg aged one year old. What makes our region so special however, is the relative reliability of their return each season and the fact that the Great Barrier Reef, the largest fish attractor on the planet, is at its closest point to the mainland right off our region. 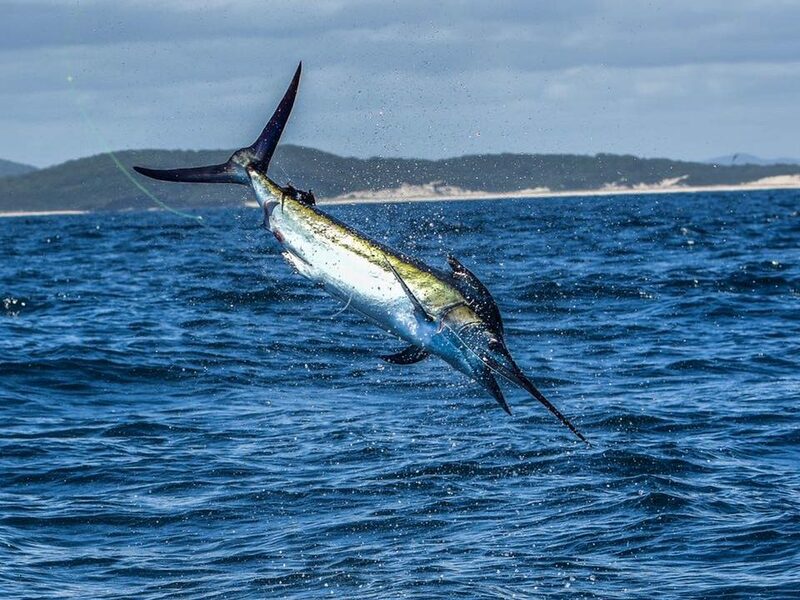 The Heavy Tackle season runs from mid September to mid December – it coincides with the return and departure of the giant Black Marlin as described above and it is also prime Tournament time here in the Tropics. Many vessels are booked out months, some even years in advance, and if your prime goal is to target one of these much sought after fish you had better get in quick to book a berth. These vessels are state of the art, custom fit out, all modern electronics – some with underwater sonar for finding the bait schools and all the safety and communication gear you could possibly want. You can even send a fax back home if you like. Various bedding / sleeping / cabin arrangements depending on your chosen vessel, but usually consisting of a state room, shower and toilet facilities, modern kitchen with microwave, cooker, freezer and cold storage space. Separate bunk or ¾ beds available on some vessels with accommodation from two anglers up to a maximum of six (conditions apply). An air- conditioned saloon completes the picture. Charters usually commence with transfers from your accommodation to the vessels mooring berth at approx. 7.00am and after departure we cruise to the wide grounds some 30 – 40 ks off the coast to commence our fishing. A mixture of lures and skipping baits is laid out by the experienced deck hand and the skippers keen eye and local knowledge helps him set about targeting your prime goal – to land a grander. These charters are usually only undertaken on a “sole charter” basis and as it’s your day / trip, fishing styles and targets can be amended to suit your skill level and available fish species. i.e. it may be advisable to try some Light Tackle trolling for small Marlin, Dolphin Fish, Yellowfin Tuna, Wahoo and Mackerel etc. if the big ones are not on the chew. The options on these extended charters are only limited by your imagination and all we can guarantee is a good time, in superb surrounding, with modern vessels and equipment and some of the most knowledgeable skippers found anywhere. These packages include all quality tackle, lures, meals, light refreshments, morning and afternoon teas, coffee, soft drink, basic Aussie beers and dinner wine. The cost does not include accommodation pre and post charter, breakfast on day of departure or special alcohol requirements i.e. spirits, champagne etc. which can be catered for additional cost. 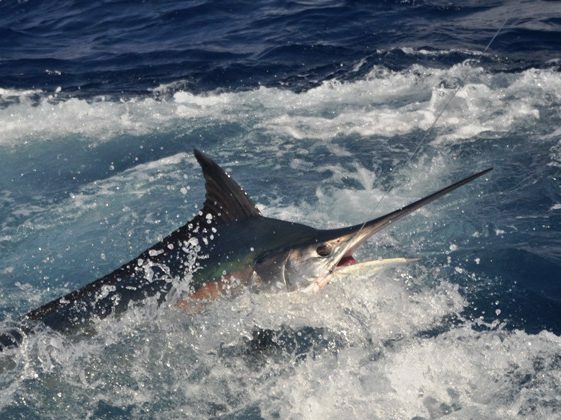 Although the Heavy Tackle season is of limited duration, offshore light tackle sport fishing charters are available. Please Note: Charter prices vary according to the actual vessel we are able to secure for you and is influenced by vessel quality, length, cruising speed, fit out, and skipper experience etc. Please contact us if you would like to book this charter, or need some help in arranging an ‘Up North’ fishing holiday.